Adobe Acrobat Reader version 5.0 or above can be used to open this attachment. Please note that you will not be able to open this file or veiw the file properly with any version lower than Adobe Acrobat Reader 5.0. The attached digital communication is authenticated by a digital signature obtained from a certifying authority under the Information Technology Act, 2000. The digital intimation is authenticated by a digital signature obtained from a certifying authority under the Information Technology Act, 2000. 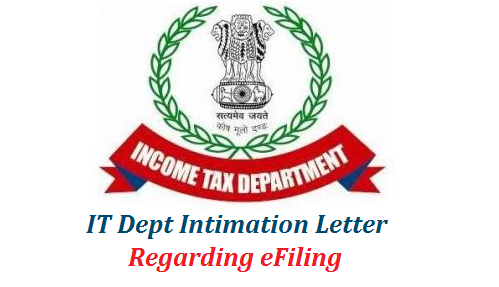 To know the process of validation of digital signature, please click here https://incometaxindiaefiling.gov.in/portal/downloads10-11/cpc/DigitalSignatureValidation.pdf. &Post login, click on the 'e-File' menu and click 'Rectification’ link. For any queries, please call CPC on telephone number 1800-1034455 (Toll Free) or 080-46605200 and quote the Communication Reference Number mentioned in the Intimation.